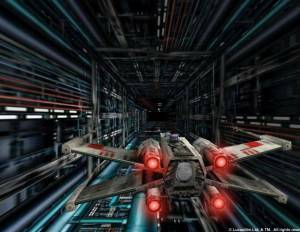 Dark Horizon is a futuristic dogfight flight simulation set in space. 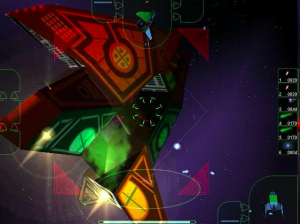 The game takes place in the Enosta universe, where the element The Mirk has started to form black anomalies that cause entire star systems to be devoured. Three races - Sia'Nuss, Guardians and Bioses - collaborate on The Light Core project, attempting to block the expansion of The Mirk. The humans oppose the project of Sia'Nuss, while there are also De'Khete - creatures who attempt to convert everyone into The Mirk. 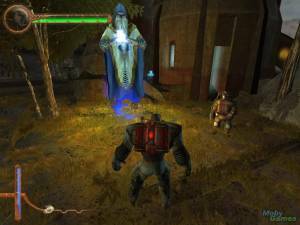 The game is presented as a look at the past, as it is revealed the project has succeeded in the future. Going back in time, the player is Corwin, a third-degree member of the Guardians, and a warrior of the Vattar Ama'Dan fortress. 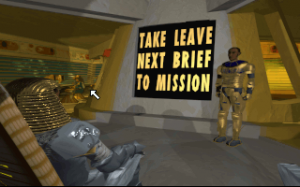 The game's main storyline is divided in six parts with 22 levels in total. Next to cut-scenes, most of the story is furthered in-game through conversations with fellow Guardians. Corwin will usually operate in squadrons, and is able to offer fellow fighters instructions such as attack, cover, spread out, or missile volley. 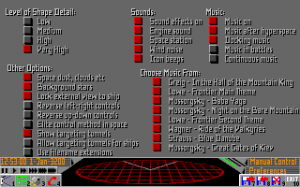 One of the most important aspects is the extensive ship customization system. From the hangar, Corwin can select the hull, armor and reactor, as well as one or two gun and missile systems, shields and additional devices. The player needs to take the type of mission into account, and adapt the craft into a fighter, a bomber, or the assault fighter as a mix of both. The craft is limited in both mass and energy, so customizations need to be considered carefully. 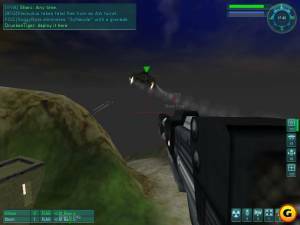 Some weapons have unlimited ammo, while others are limited but offer much stronger firepower. Even more customization is available through the repair shop. Based on the elements technoalloys, conductors, regenerators, nanomodules and electronics gathered from destroyed ships, the player is able to order parts, weapons or revisions. These are unique and can be defined in detail, based on the type of part, the class and several modifications that affect armor, shields, damage, defence, shield regeneration, energy and self-repair. This makes it possible to construct a ship with unique parts, completely fit to the player's playing style. From the main cabin it is possible to read up about the races, developments and the history so far. 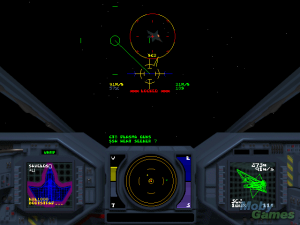 In-game players can choose from a general third-person perspective or a more precise cockpit view. 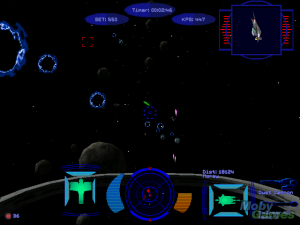 Objectives appear on the left side of the screen and are often adjusted because of unexpected events during missions. 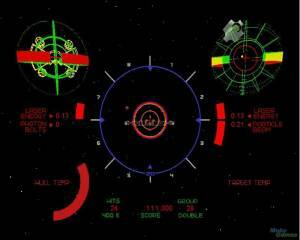 Flying in squadron or solo, the player's ship needs to track and engage enemies, navigate asteroid fields and much more. There are various tracking and targeting systems, with detailed statistics about shields, armor and durability, a radar, the status of allies and enemies, and weapons and ammo.